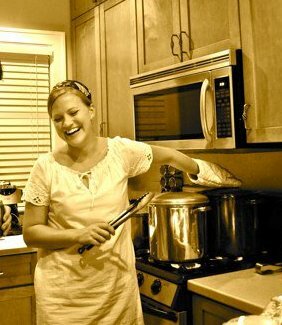 Oven mitt on one hand, tongs in the other, we boiled and celebrated and popped champagne. It was the end of a decade. BUT, you say, what about the list? Ahhh, yes. Do not worry your hungry little heads: there are more posts to come over the next few weeks leading up to that final, lobster check mark. So I’m hoping you’ll forgive me for the lag time between product and post. And that the promise of going out with a bang will keep you reading for the next few weeks. That and I’ll bribe you with photos and the mysteries of the Turducken. I know you’ll stick around for Turducken. 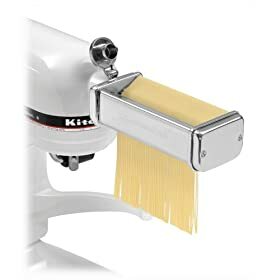 Pasta Attachment for the Kitchenaid Mixer! Hooray for homemade carbs!! Thanks to the Handsome Husband for knowing the way to a girl’s heart. The end of the 30 Before 30 List means the start of a new venture. What will that be? Don’t know yet…but I’m betting you’ll help me brainstorm.